Sherpa Himalayan Wanderer Treks & Expedition (P) Ltd is a reliable company registered under the government of Nepal. Now, before we move any further mutually please go through the following terms and conditions of the company. • According to company’s policy 30% down payments are required to make in advance. *Other amount can be paid after your arrival in Nepal. 1. How to pay your deposit? 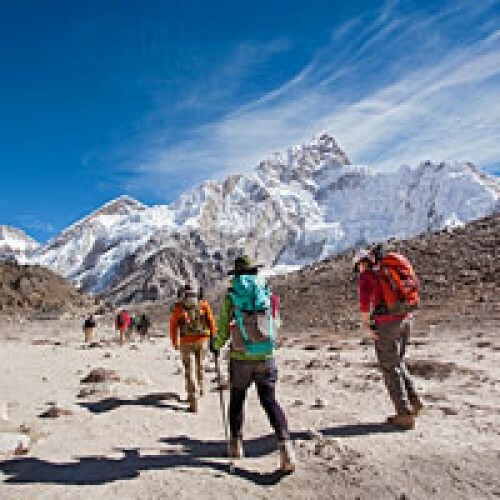 Pay to A/C Name: Sherpa Himalayan Wanderer Treks & Expedition Pvt. Ltd.
For Nepal Trips, last minute booking is acceptable where as for the India trips pre booking of at least 10 days is required. • There will be no refund for 30 percent deposit amount, in case of cancellation of trip for any reason. As you know we are running our company and we reserve the right to revise pricing rate, itinary posted at our website, under any circumstances, or on the pressure of various external factors that are further than our control. So, for instance changes in exchange rate, government action, routes etc. But we put genuine effort to keep the present rate. If Sherpa Himalayan Wanderer Treks & Expedition (P) Ltd. cancels your trip due to unforeseen circumstances like natural disasters, war, conflict, unfavorable climate etc then we would be happy to refer another alternative with similar standard. Even alternative things don’t fit your personal interest then all the money will be refunded you have paid. But remember, you are responsible for other expenses incurred by you as a result of this booking. Our company believes in good hospitality and also delivers best effort to ensure your comfortable travelling with us. But what you must keep in mind is that what you might be habituated to in the western affluent countries; we Himalayan countries cannot afford such facilities. While travelling weather also can be another factor you are not used be on the journey so be prepared. In spite of all impacting factors, be team player, have patience in mind and have enthusiasm to make an adventure journey with us. 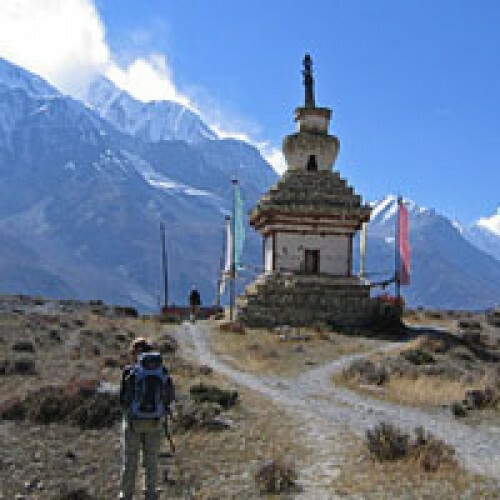 A tour/trek guide who represents Himalayan Wanderer (P) Ltd. deserves all authority during your tours. If you do any unlawful or commit act, you are compelled to leave the tour and there will be No Refund in such made case. You have to do travel insurance package against medical, natural calamity, helicopter evacuation, personal accident, trip cancellation etc. This is highly suggested to all the clients. For your personal belongings we are not answerable for any loss or damage of your luggage or property belonging to you and we are also not answerable while being carried by porters, ponies or vehicles. So, it means your personal belongings are at your risk. Safety and reliability are out topmost priority. We guarantee your safety and you can rely on us. Having been in the travel business for two decades, our previous working experiences make us a reliable travel partner. We give our clients the informed choice about the risks and safety and will never do the activities that can harm our guide in any way. But trip may change under uncertain and inherent circumstances such as land-slides, road blockage, flood, snow fall, political unrest, cancellation of flight, delay arrival, sickness or accidents etc. At this time you have to be responsible and cooperate in any extra cost incurring problems be borne on the spot. So, trekking in remote areas or in as described above, especially during odd season, you’re are highly advised to reserve few extra days to surpass those halts and avoid frustrating consequence so that you can enjoy and have the best time of your visits. In case of flight cancellation of per-tour/post-tour, you need to meet your accommodation and food cost yourself. Note: If you need help in choosing the right tour or want to make a custom made tour then please contact us online.